HURRY! This ONE OWNER home will not last! 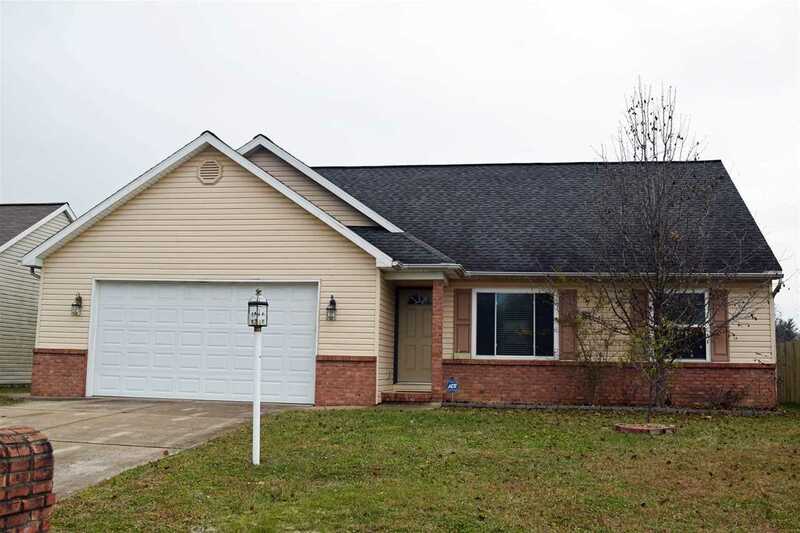 4 BEDROOMS, 3 FULL BATHS, GREAT ROOM and BONUS ROOM, WOW! This is what you have been looking for, tucked away in a wonderful neighborhood off Bergdolt Road near Oak Hill this home features a extra large back yard with storage shed and perfect garden spot to enjoy this Spring. The covered front entry invites you into the nice great room that is open to the chef pleasing kitchen that boasts a breakfast bar and is fully applianced. There is plenty of room in the dining area for a large table and hutch. The split bedroom design is perfect for everyone's privacy. The spacious Master suite features a full bath and a walk in closet. There are two other bedrooms also on the main level that share the second full bath. A laundry room rounds out the main level. Upstairs is awesome! The fourth bedroom has double closets and a window seat, the third full bath is upstairs and a huge family/bonus room. Attached 2 1/2 Car Garage! Updates on this home include, new windows 9-2013, furnace 6-2014, doors 5-2015, garage door opener with battery back up in case of power failure 12-2015, sump pump 2018. Seller is also providing a One Year Home Warranty! Immediate Possession! Directions:From Lynch Rd, North on Oak Hill Rd, Right on Bergdolt Rd, Right on Kenmore Dr, Left on Mayflower, Right on Emma to home on Right. SchoolsClick map icons below to view information for schools near 4406 Emma Drive Evansville, IN 47711.